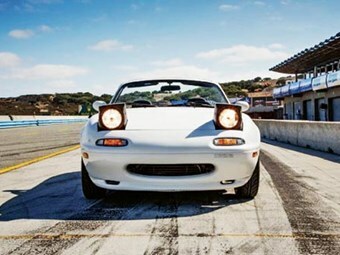 First-gen MX-5 is a staff favourite. NORMALLY, I’d blame Morley. 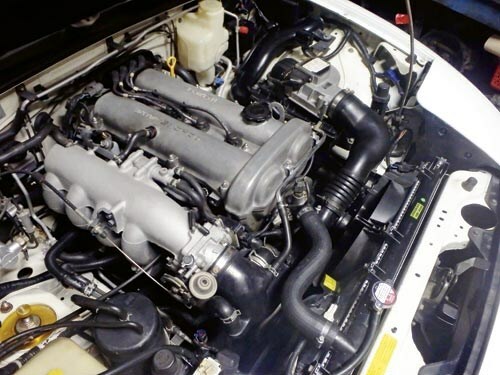 I sometimes bunk at his place and there have been plenty of fun beer-fuelled nights cruising through the Unique Cars classifieds looking at – oh, what was it last time? – Scorpions, Cortinas, Volvos and Coronas… and plenty of other ‘where-did-they-all-go?’ cars. But this time, I can’t blame Morley for some irrational, late-night, maybe-not-completely-sober idea about buying yet another car. 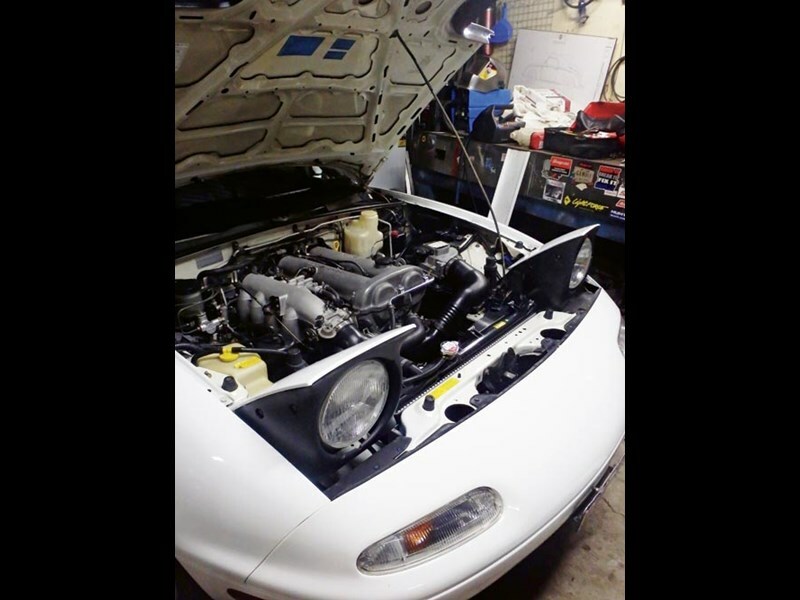 Because the truth is, I’ve wanted a Mazda MX-5 for a looong time. 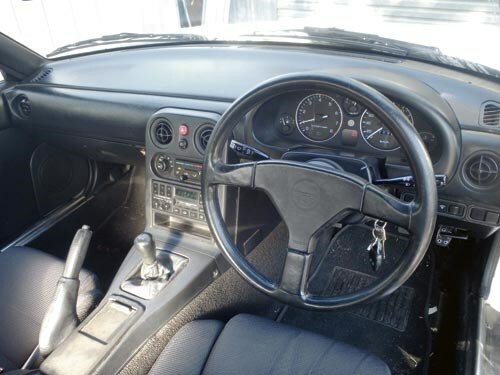 A mate bought one almost as soon as it appeared in showrooms in 1989, blowing peoples’ minds with its no-nonsense, back-to-basics, fun driver appeal. Back then, I was at university and working two part-time jobs but my mate Johnny had a job in finance. And if you had a job in finance in that era of yuppies, sinks and dinks (Google those terms, kids!) you absolutely had to have a brick-sized mobile phone and a Mazda MX-5. Johnny’s new MX-5 was red and was soon blinged (even before bling was a thing) with lowered springs and Racing Dynamics wheels. Fast-forward 15 years to the mid-2000s. 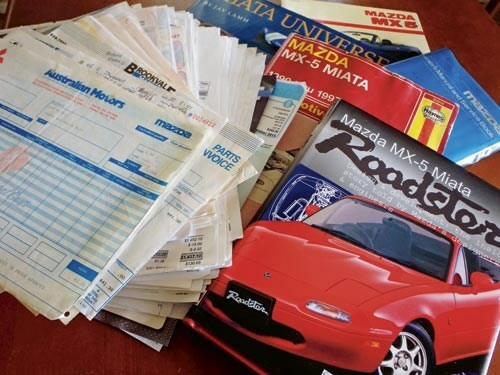 After working hard in magazines for a decade, I had a second-hand HSV Senator as a daily driver and a HQ Holden Premier V8 I’d restored as a weekend cruiser (I wish I still owned both – but that’s a tale for another time…) but was keen for a Mazda MX-5. I was searching for one but stumbled upon a rare, bright-red VW Beetle Karmann Cabriolet for sale. Regular readers will know the one – and my nuttiness for VWs – so I bought the drop-top Bug instead, at the time thinking, ‘I’ll buy a Mazda MX-5 later’. Well, fast-forward another decade to early 2016 and later has arrived. 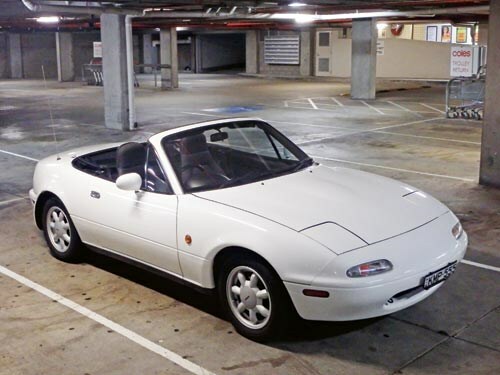 Recently, I’ve driven a couple of early Mazda MX-5s for Unique Cars which has reignited my interest in these terrific little roadsters. I reckon prices are at an all-time low right now, so I thought I’d buy one before the P-platers’ efforts at killing the remaining cheapies lights the fuse for the good time-warp cars’ values. This would leave me – and my pocket-money budget – behind, just like has happened with a lot of other cool car stuff recently. 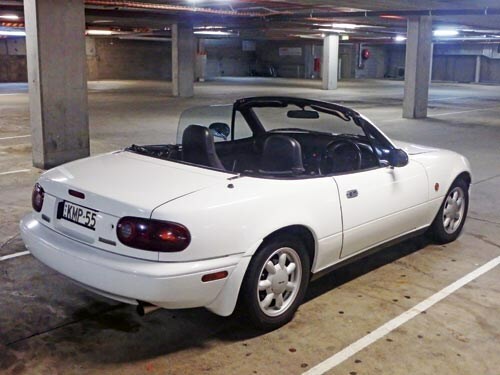 Anyhow, after a few weeks searching (and of course, missing out on a few that sold within hours of being listed) I bought the 1990 Mazda MX-5 you see here. I didn’t want a red one – Little Red Sports Car is just a little too clichéd for me – but I wanted an original car with air-con and the optional factory hard-top so even though I intend it to be a one-day-per-week car, I could drive it through a harsh winter if I had to. At last, after a couple of false starts, I own a Mazda MX-5 and as I write this, after just 200km of ownership, it’s just sensationally gloriously wonderfully beautifully excellent.